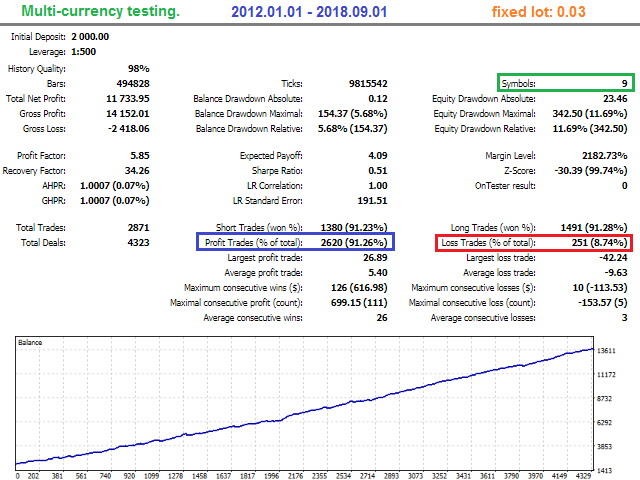 This long-term trading system works on 9 pairs and timeframe. 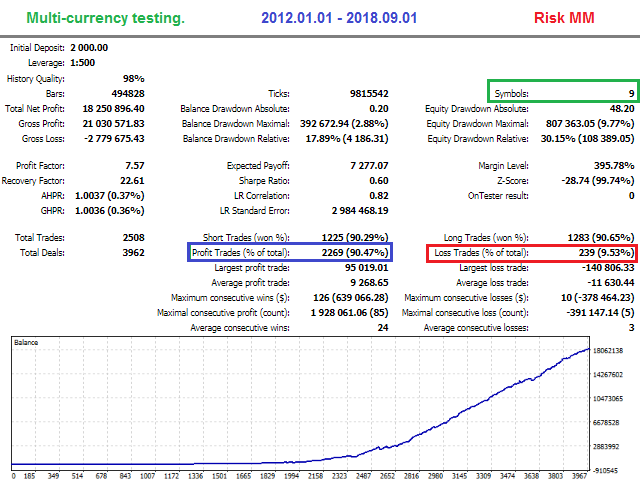 The Expert Advisor uses various trading systems, such as trend trading, counter-trend trading and others. For the EA operation, open "Tools" > "Options" > "Expert Advisors". Check the option "Allow WebRequests for listed URL:". Add http://ec.forexprostools.com, http://time.is/UTC and click OK. 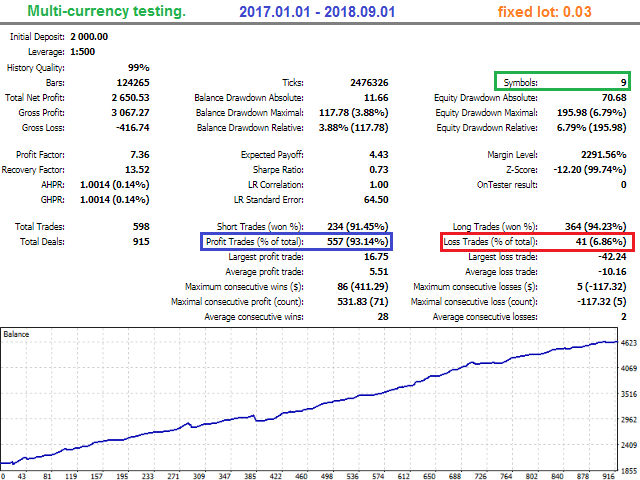 The minimum recommended balance for the EA's use with the recommended pairs and timeframes - $800 or $8 on a cent account. 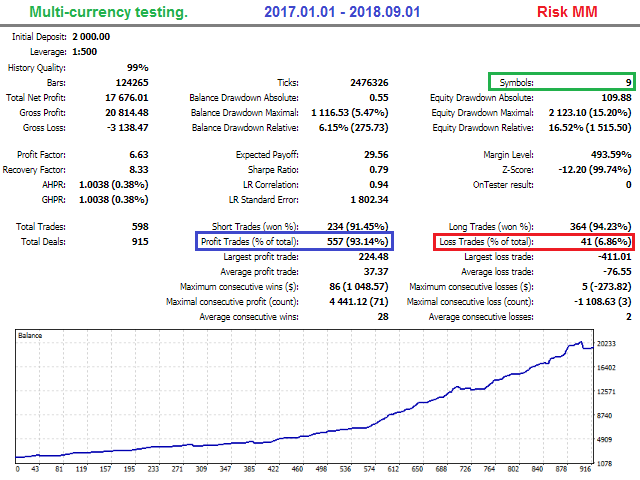 strategy trend/reversal - If true, the strategy is used. News_update_every_N_minutes - update news every N minutes. Friday - if true, trade on Friday. Hello no trade since 2 days is normal?